As we come to the end of our first licence from NHS England as an Academic Health Science Network, our Managing Director Deborah Evans has been reflecting in our annual report on how far we have come and looks ahead to what lies in store with our second licence. Looking back to when the West of England AHSN was first set up back in 2013, what stands out most for you? From the beginning our priority has been to involve all of our network; all the NHS commissioners and providers and the universities of Bath, Bristol and the West of England. We had to create our own vision, deciding what our version of an Academic Health Science Network might be. The extent to which NHS organisations have engaged at senior leadership and clinical level has been remarkable. Our success rests on that bedrock. Everything else, our work with universities and with companies, all depends on us having that commitment and involvement from the entire healthcare community. What were they key challenges we have had to address as an AHSN? Our first challenge was creating an ecosystem for innovation. We wanted to engage NHS organisations and clinicians in understanding how we can work together to draw innovation into the health service. We have ‘link directors’ within every member organisation who we can talk to about innovation, and we have worked with many clinicians on specific clinical problems for which they are seeking solutions. In building this ‘ecosystem’, we have provided support to many companies who want to develop their products with the NHS, and have worked closely with key organisations, such as Local Enterprise Partnerships, to explore how to stimulate regional growth in key areas around health and life sciences. Building this new innovation culture hasn’t come from one single initiative, but by providing a wide range of opportunities for clinicians, companies and universities to work with us to develop enterprise based on identified need. What stands out for you as our main achievements in innovation? We have done some excellent work around citizen empowerment. I think this will be increasingly important in the future of the NHS. One example is Design Together, Live Better. We brought together members of the public living with long-term health conditions, and we asked them to tell us what would help them live their daily lives better and produced prototypes based on these conversations. This work has continued to evolve and we are now creating an online hub for citizens, innovators and healthcare professionals to crowdsource and co-create new services and products. Another huge achievement is our test bed, the Diabetes Digital Coach. This is one of seven test bed ‘experiments’ sponsored by NHS England and Innovate UK. Ours is looking at how people might manage their diabetes better using digital technologies. One of the interesting things from our point of view is in how we enable different companies to work together and with health service providers. So test beds are for us to learn both about the clinical and the commercial side of developing new digital health solutions. Where does improvement sit in relation to innovation? It’s our firm belief that we need to use improvement approaches in order to help to embed innovation. 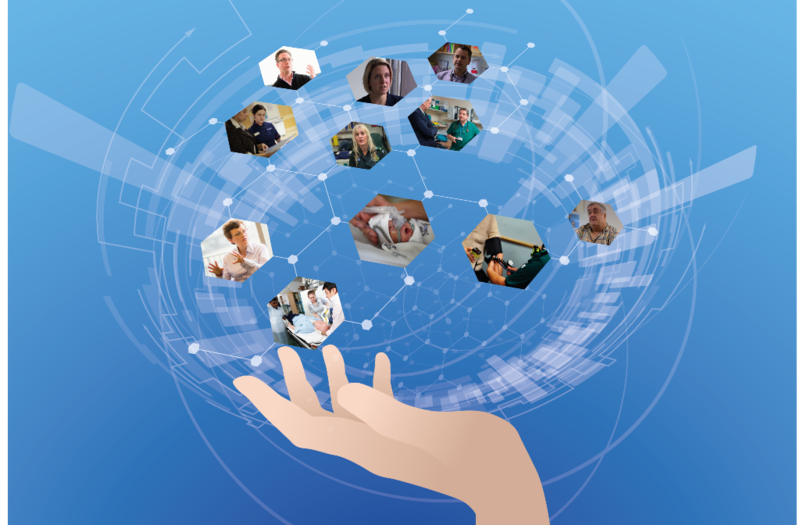 Whether it has a medicines, med-tech or digital flavour, or is simply a much better pathway, there is a real role for improvement in helping the health service make much needed transformational changes. When I think about this AHSN I can see our great achievements have been equally strong on both innovation and on delivering improvements in care. We started off with PReCePT, which we delivered in one year. It was about preventing babies from being born with cerebral palsy by giving magnesium sulphate to mums who went into labour at 30 weeks or earlier. So far we know that we have prevented seven babies being born with cerebral palsy. That has a lifetime saving of at least £1 million per baby to the NHS, let alone the cost to families. Based on this, people were willing to back us to do other more ambitious things, such as our treatment programme for atrial fibrillation in primary care called Don’t Wait to Anticoagulate, delivered in partnership with Gloucestershire Clinical Commissioning Group (CCG) and Bayer. This project has now spread to other parts of the West, as well as other AHSNs. In both cases there was a foundation of improvement work to build people’s capability through training and development, both for the innovation and then for the adoption and spread. Probably the most ambitious examples of whole system engagement are in our Patient Safety work. Our Deteriorating Patient programme involves all 21 NHS member organisations, plus a large number of partners, including GP practices, out-of-hours providers and nursing homes. We are achieving large scale change by using the National Early Warning Score (NEWS) as a tool to spot and act on deterioration of acutely ill people across every aspect of the urgent care system. Our other Deteriorating Patient projects are underpinning safety in every emergency department and every emergency laparotomy in the West of England. We are working together across all our acute trusts to train clinicians in the new national system for reviewing death in hospital. What are you looking forward to in 2017-18? I’m looking forward to continuing to work with the three Sustainable Transformation Partnerships (STPs) in the West. In the last year it’s fair to say they have been finding their feet and they’re now becoming much clearer about their priorities and what they’re trying to achieve. We will continue to support each of the STPs with their Digital Road Maps, as well as coordinating more connection events, like the brilliant Digital Art of the Possible event we held last year. In addition we are funding three project managers, one for each STP, with the particular remit to be a conduit back to the AHSN around support for innovation. With the new AHSN licence starting in 2018, supporting STPs will be a significant focus. STPs have a huge agenda when it comes to service transformation and financial efficiency, so I’m very much looking forward to playing our part in that. As we enter the final year of our first five-year licence, I believe we can demonstrate real impact as a result of ambitious programmes inspiring the involvement of all our member organisations. That’s a huge achievement for the NHS.